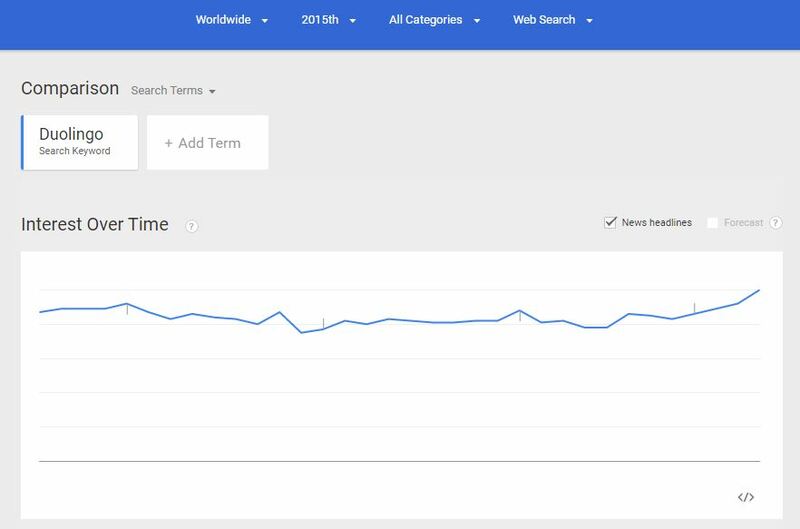 Mi legis en la angla diskutado, ke la populareco de Duolingo atingis la popularecon de Rosetta Stone laŭ Google Trends. Tio donis al mi tiun ideon, ke mi rigardu la terminon "Duolingo", kaj kiuj regionoj serĉis plejmulte ĝin. Nu, la rezulto estas tre interesa. Yes, Guatemalan people like Duolingo (besause of Luis von Ahn) but not exactly Esperanto. I searched just the word "Duolingo" and the result on the growing tab was "duolingo esperanto". Google Translate needs our help.